Direct Reports: Cotton Programme Director; Textiles Programme Director. Senior operational and finance staff (tbc). The Country Director will also oversee the performance of the FDT Trust Director by chairing the FDT Board of Trustees and other programme oversight committees. − Ensure that the cotton, textiles and forestry programmes have effective governance and oversight mechanisms in place with clear roles and responsibilities. − Through GA’s Board role, chair the Board of FDT to ensure effective governance and delivery of FDT’s institutional mandate. − Line manage the Textiles and Cotton Directors, and manage the performance of the FDT Trust Director, supporting them to fulfil their role requirements and providing mentoring and coaching to support their professional development. − Support programme staff and institutions to develop appropriate annual plans, budgets and objectives aligned to GA strategic objectives. − Through chairing the Quarterly Programme Review Committees and through ongoing line-management/performance management of PDs/Trust Director, ensure the programme teams are effectively performance managed to ensure delivery. − Facilitate and support in-country teams to ensure there is a robust process to design and manage programmes’ strategies and interventions. − Ensure effective working relationships and support is in place from the Strategy & Learning Team and internal and external strategic advisors to ensure the quality of programme strategies, interventions, monitoring and evaluation. − Ensure that there are clear roles and accountabilities between cross-cutting teams and programme teams. − Ensure accurate and timely programme performance reporting into GA’s governing bodies. − Support the Strategy & Learning team to identify and facilitate opportunities for cross-portfolio learning. − Review and monitor GA operating risks in Tanzania, contributing to GA’s overall risk register and the implementation of mitigating strategies and actions. − Implement effective operational systems in Tanzania, in line with agreed GA frameworks, systems and policies. − Ensure effective HR and people management in Tanzania, monitoring HR risks and ensuring effective talent development and reward frameworks are in place. − Lead and coordinate the annual, mid-year and end of year operational planning and budgeting cycles, presenting country, programme and institution budgets to the SMT. − Ensure effective financial management in Tanzania through forecasting, financial management and reporting, including timely annual external audits (tax and financial). − Work closely with the Operations Director and Head of Finance in the development of fit for purpose operational and financial systems for GA’s portfolio in Tanzania which both facilitate delivery of our work and ensure compliance with relevant legislation. − Ensure contracting and partnering agreements are in place, in line with GA’s contracting procedures. − Manage GA’s branch office and associated facilities in Tanzania. − Act as Senior Staff Person for the country in relation to security matters. − Ensure effective communications within GA programmes and FDT in Tanzania, and across GA as a whole. − Support the flow of information between programme teams, the institutions we support and cross cutting teams. − Role model and support the embedding of GA values throughout our work. − Lead on country-level team development and engagement. − Champion GA-wide staff engagement and change management initiatives, and ensure their effective implementation in country. − Actively contribute as a member of GA’s Leadership Group. − Ensure effective and credible relationships are in place with senior government and non governmental stakeholders. − Represent GA on country-level fora and in cross-cutting national level discussions. − Maintain close assessment of political economy developments & broader trends in Tanzania and maintain a network of contacts to inform this. − In collaboration with other cross-cutting teams, build GA’s brand presence in country, developing an informal network of senior friends/advisors. − Support the Communications and Partnerships Director with fundraising and partnerships by developing and managing effective relationships with existing and potential funding partners in Tanzania. − Support the cotton, textiles and forestry teams in their broader policy engagement where useful. − Setting the strategic direction for GA’s overall work in East Africa, developing and refining the strategy in collaboration with the Executive Board, the Trustees and David Sainsbury. − Developing and reporting performance against strategy, annual plans and budgets in accordance with the SMT’s reporting framework. • Identifying and taking a view on strategic and operational decisions with a crossportfolio impact. • Ensuring a common sense of purpose, objectives and long-term goals. • Ensuring effective cross-portfolio learning. − Providing cohesive leadership, in a collegiate style, in a culture of sharing and learning. − Managing communications, internally and externally. • Caring about the people we work with and what we do. • Being open, and willing to listen, learn and change. • Embodying a culture of integrity, honesty and fairness. • Creating a platform for staff growth, innovation and empowerment. • Inspiring others through our leadership and behaviours. • Acting with courage and conviction to achieve our goals. − Substantial leadership and management experience at senior levels in low/middle income countries in Africa, and with experience across public, private and NGO sectors. − Exposure to the Gatsby Approach and its core principles, which guides implementation of all our programmes. − Understanding of change management and experience of delivering change. − Exposure to market systems approaches, ideally sector development programmes. − Proven experience of successfully designing, leading and managing business/programme operations with multiple stakeholders. − Board-level experience, bringing an understanding of good governance and an ability to develop and manage senior relationships sensitively. − Understanding of the Tanzanian context and political economy, with an existing network of contacts. − Proven experience of building relationships and the ability to engage at very senior levels of business and government. − Successfully managing, coaching and professionally developing team members working within a complex, fast-paced professional environment. − A commitment to African development and an understanding of the development landscape. − Well-honed leadership and management skills, able to inspire and motivate teams, work in a calm and confident manner, and translate ideas into actions. − Excellent judgement, with the ability to think through different courses of action and make pragmatic, practical decisions. − Strong organisation, planning and time-management skills, with a proven ability to plan and prioritise own work and that of others and meet deadlines under pressure, often balancing what appear to be conflicting and sometimes changing priorities. − Strong facilitation skills, able to ensure effective governance and processes are in place that enable input from experts and advisors. − Excellent interpersonal, diplomatic and persuasive skills – able to build a strong rapport with senior level public and private sector stakeholders and be comfortable negotiating political relationships. − A genuine team-player with strong listening, negotiating and persuasive skills. − Able to quickly establish credibility and respect as a leader, demonstrating maturity and presence and building strong working relationships and rapport with colleagues. − Works with others in a collaborative and solutions-focused manner to achieve win-win outcomes. − Excellent verbal and written communication skills in English essential; fluency in Kiswahili is a significant advantage. − Empathises with GA’s mission and values and brings both a commitment to African development and an understanding of the development landscape. − A commitment to work within the principles and practices of the Gatsby Approach to ensure that programmes learn from implementation and sector changes, adapt and use the information to guide sector stakeholders. − A self-starter with a pro-active approach. − Maintains high performance and demonstrates resilience when operating in a fast-paced professional service environment. − Shows an understanding and appreciation of what it takes to deliver across different cultures. − Integrity and professionalism, setting and demonstrating the highest ethical and moral standards and a strong sense of personal accountability. − Able to travel nationally, regionally and internationally (estimated at least 30% of time). − Ambitious – Showing determination to deliver long-term and large-scale impact for others, and to achieve our own potential. − Collaborative – Working together to develop strong relationships with diverse stakeholders, while understanding others’ needs and enhancing their capabilities to drive change. − Thoughtful – Reflecting on evidence and learning from our activities and those of others to design, adapt and improve our work. − Pragmatic – Recognising the motivations of others and the realities of facilitation, seeking opportunities to build momentum for change, and communicating carefully. − Honest – Playing a trusted role as an honest broker for change, being open to learn from others, and admitting our challenges. 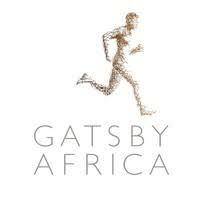 Gatsby Africa is an equal opportunity employer. − Are you East African / do you have extensive experience in East Africa? − Do you have understanding of the Tanzanian context and political economy, with an existing network of contacts? − Do you have substantial leadership and management experience at senior levels in low/middle income countries in Africa, and with experience across public, private and NGO sectors? − Do you have board-level experience, bringing an understanding of good governance and an ability to develop and manage senior relationships sensitively? If you can answer yes to all the above questions, then you will need to submit an up-to-date curriculum vitae/resume (of no more than 2-3 pages) in MS Word, and a supporting statement. are applying for the Country Director for Tanzania role. (4pm UTC; 5pm British Summer Time). role, strong preference will be given to East African candidates and those fluent in Kiswahili. NOTE: For more details please see the job advert PDF FILE by clicking here. You can also download the Candidate Pack PDF FILE, with a full job specification and details on how to apply, by clicking here.